Asteroid absorbed ship. What have I done wrong? I must be doing something wrong with this asteroid mining stuff, because I don't really have any control over the asteroid, and the ship just... wobbles all around. SAS doesn't seem to matter. A few times the ship just broke off with me touching nothing. The only difference this time is the Advanced Grabbing Unit was set to Free Pivot. 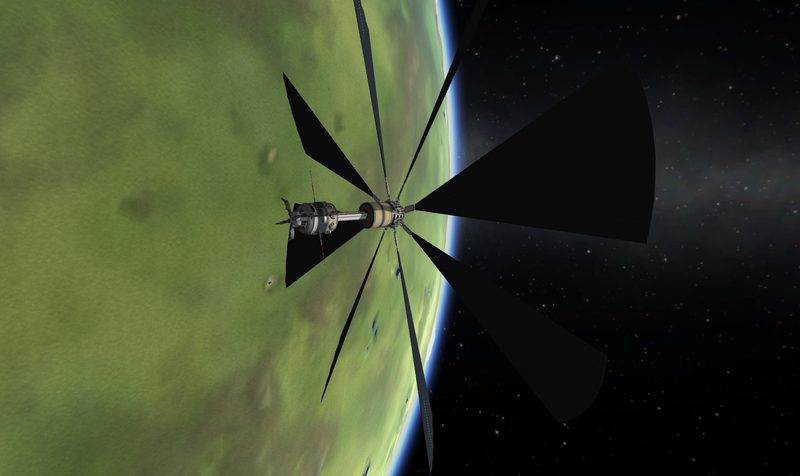 I can't even get this thing to turn to lower its orbit properly, I have no clue how you guys are flying them around. Anyway, the asteroid...uh, ate the ship. It just spun around and got absorbed. It kept slowly spinning and is now back outside. What am I doing wrong with these things? 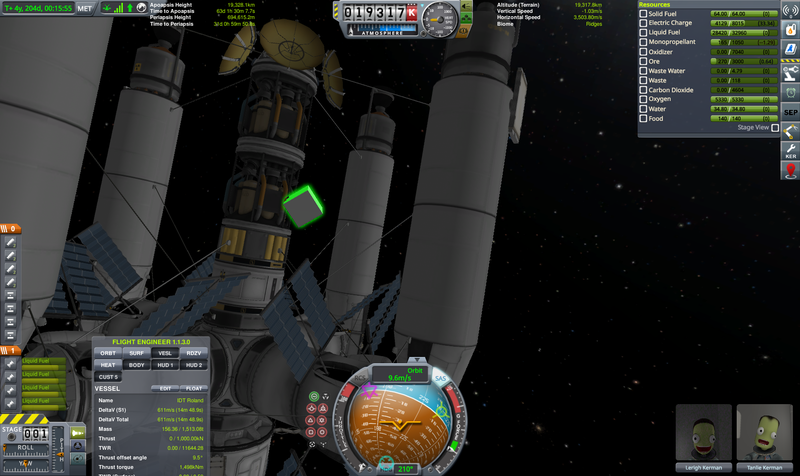 I did try to attach KIS/KAS EVA struts once, which worked, but the ship broke apart when I connected the second one... but obviously this is meant to work, even in stock. First, the issues that you describe about having your ship break up sound like an autostrut issue. When you grab an asteroid, it becomes part of your ship -- and it's always the heaviest part of your ship. So any autostruts that are selected to connect to the heaviest part of the ship will suddenly reconnect to your asteroid as soon as you grab it. And having many autostruts reconnect themselves suddenly to someplace different will often cause ship damage. Second, a ship cannot collide with itself. And since (after you grab it) an asteroid becomes part of your ship -- you can't collide with the asteroid anymore. That's why you can rotate through it when you unlock your klaw's pivot. To grab an asteroid, it's best to start with your klaw locked. Once you've grabbed it. you right click the asteroid, and select "target center of mass". To push an asteroid around, you need to be pushing straight though the CoM of the asteroid or it just won't work very well. Once you have the CoM targeted, you unlock the pivot, and align the CoM (target) with your ship's nose. Doing this is a trick you need to learn. Once aligned, lock the pivot again. Be gentle with the keys, and if one button pushes things the wrong way, use the opposite button. Then, to change the asteroid's orbit, you spin everything around until you are aligned either prograde or retrograde and you light your engines. Right-click the klaw, there should be an option there to Lock or Release the pivot (or some similar wording). Lock it when it is outside ofc! And don't relasease the grip itself tho, especially if you have a mission to catch it - the asteroid will count as previously touched and will not be counted for the mission. A bug @bewing I've recently encountered many times is that when you reload a klawed asteroid your ship will be partly inside it and will explode when you release. Workaround is, open quicksave.sfs,ctrl f to search the name of your ship, scroll down to find PART:potatoroid and next to pos(position) there will be three values, increase the middle one by twenty ish. And reload your quicksave. I play with advanced tweakables off mainly so I don't have to deal with autostruts. Are they included on some level anyway when I grab an asteroid? The ship wouldn't break up, the connection between the ship and the rock would oscillate so much that it snapped in half right at the claw. The first time I grabbed it, I switched away from the game for a minute to do something else, and when I came back it was swaying back and forth bad enough that it broke off. Having SAS on Stability hold makes no difference, and turning on RCS makes it even worse. I had CoM targeted when I grabbed. I had done what you suggested, and nothing seemed to change when I told it to point to target. When I attempt to rotate the asteroid, it does turn, slowly, but the ship begins to oscillate again and I can't seem to get it to stabilize again. I'll try to get some videos tonight to clarify what it's doing. Location: Chicago...Where else would I be? @Geonovast I've done a lot of asteroid-grabbing, but I haven't grabbed one since the latest update. I've been seeing some strange things in 1.3.1 but, since I've been working on a couple of huge ships, I just assumed it was something to do with that. Not sure if there's an actual problem or not. 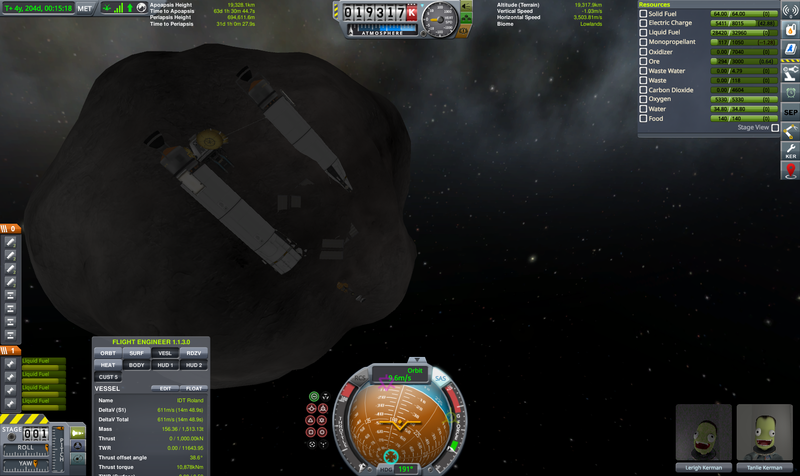 However, as far as towing an asteroid, I've found that I can control it better by pulling rather than pushing. I build the top section of my asteroid catchers upside-down to make things easier. 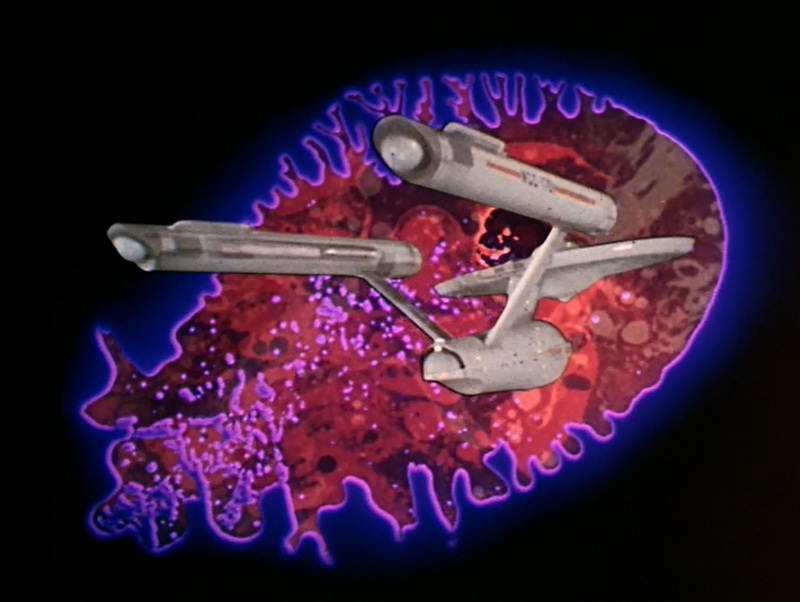 Well that's a clear case of Star Trek episode 47, "The Immunity Syndrome." 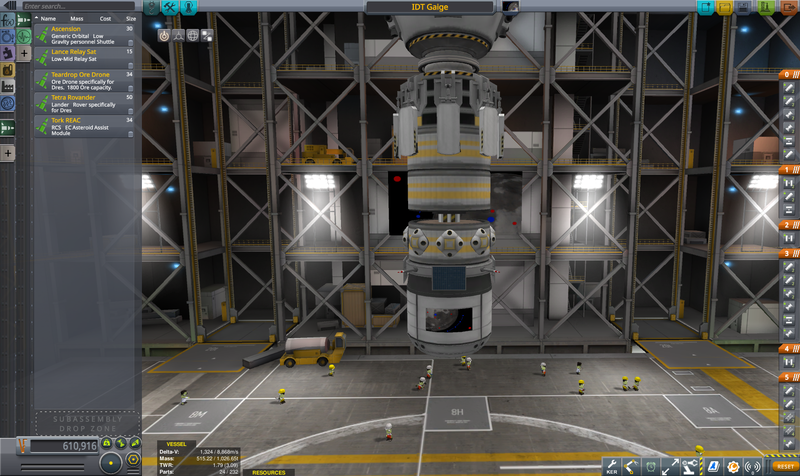 @Cpt Kerbalkrunch I thought I'd mentioned it... but now I see I haven't. This is 1.3.0. I too have seen buggy stuff about 1.3.1, which is to be expected. I'll update when I have a need to do so. I have the GoG version, so no surprise updates for me. Yeah, low throttle is my answer when I can't get control. And a quick tap of timewarp to settle things down when it gets too shakey. The only other things I can think to mention are that I like to set my engines out as wide as possible and strut the crap out of them. Real struts, not that auto-devil. It may not always be feasible, but I like to use Mammoths. Their huge power and gimbal can keep even the largest asteroids under control. Thanks PV. We've been hearing anecdotal reports like this, but haven't managed to reproduce it in a stock game yet so we can fix it. You do mean that this is when you have upgraded a savegame from a previous version, right? Otherwise, pastebin or dropbox, or email is fine. It's by far the best to turn SAS off after you've grabbed an asteroid (or even just before), until you've got the nose aimed at the CoM. And then just use Stability mode. SAS really can't handle such an extreme mismatch between the reaction wheels, any RCS thrusters, and such a huge mass hanging off the end of your rocket. Since your mass is now so big, your ship will be very slow to turn, and it's best to do it by hand. So it may be SAS inducing the wobble you describe. I play with advanced tweakables off mainly so I don't have to deal with autostruts. Are they included on some level anyway when I grab an asteroid? Wheels are always autostruted to heaviest part. Do you have wheels? No wheels or landing struts on this ship. It's sole purpose was to snag an asteroid, drop it to low Dres orbit, mine it into oblivion, then go get another one. Understood! I'll try doing it by hand. And a quick tap of timewarp to settle things down when it gets too shakey. The only other things I can think to mention are that I like to set my engines out as wide as possible and strut the crap out of them. I always strut mine manually, and you can see that the engines are fairly wide apart, although they are just gimble-less nukes. Since it's a mining station, I do have some LF/Ox tanks on there. If this doesn't work out well, I may fly out a retro kit to add some conventional engines. I tried the quick timewarp to stabilize. The ship got sucked into the asteroid and exploded as soon as time normalized. Similar to my experience turning the magnet on. The ship looks good. I don't see any serious flaws. What do you mean about turning the magnet on full, though? Are you talking about the Klaw? Yup. Click the link and you'll see the results of turning it on full while already docked. Yeah, I saw it. Impressive destruction. I was asking though, cuz I didn't know there were different power levels for the Klaw. I thought it just grabbed on and that was it. Besides freeing up the pivot. It's possible one of my mods added it, I suppose. Probably Konstruction! if that's the case, since it has its own magnets. I think that would be your culprit. I've grabbed a lot of asteroids (I really enjoy it) without seeing anything like that. Yeah. .sfs savegames. If the savegames came from a previous version, it's best if they are not resaved into the new version first. And do you happen to know if you might have adjusted the "terrain detail" level setting between the previous save (when it was working good), and the reload (where it was buried)? If I dock two vessels to the same asteroid, will EC and Monopropellant be shared, just like two ships docked together? I want to put a small helper probe directly opposite the ship, which is essentially a Klaw, RCS thrusters, and some giant solar panels. I'd put up a SS of the probe but cubeupload appears to be broken at the moment. If I dock two vessels to the same asteroid, will EC and Monopropellant be shared, just like two ships docked together? Yep. Becomes just one big happy ship. Are you on 1.3.1? I've caught a lot of asteroids, and I've never seen anything like this... until now. Those two probes are inside the asteroid. I can actually select them if I zoom inside the asteroid like in the above screenshot. When I zoom out, though, it's as if they don't exist at all. 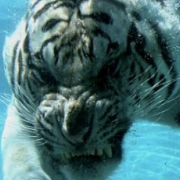 When I clicked on one of the Klaws and hit "release", it was jettisoned about 17km away. I'm not a guy who goes looking for bugs, and I play pure stock, so things like this are unusual for me. I've been seeing some weird stuff since I updated to 1.3.1. The game even crashes now and then. Something that was almost completely unheard of until now. Not getting frustrated; just a bit perplexed. There she is. I've got a new ISRU ship (I retired the first one) in Kerbin orbit waiting a few payload deliveries, then it's off to Dres to snag another asteroid, with the help of this guy. Maybe something to do with potatoroid radius methinks? Happened to me once, here, in what I believe is 1.1.something? Almost no mods, except few utilities.